make your pc faster Archives - Scrape by IT Guy - Do I have enough for rent this month? This is actually a post that I wrote on another website, it’s very simplistic in nature but that doesn’t mean that, while standard, it isn’t decent advice. Eventually, our brand new pc simply isn’t new anymore, as the years go by we notice a considerable slowdown and while we may trick ourselves into thinking that it’s just our imagination and that initial burst of speed was merely an illusion created by comparison to our previous computer, the fact is, overtime, our computers do get slower. This can be caused by viral infections, bloatware, unused programs clogging up our hard drive or even overheating causing our hardware to slow down (which it does in order to prevent damage to itself), that said there are steps to making your computer faster. While there are many things you can do in order to return the full spark of life a new computer has back into your old one, some may require a technician with a certain degree of knowledge and are subject to each specific case which can be determined by an initial diagnosis. Having that in mind, there are still many relatively simple things you can do yourself which will improve the speed and responsiveness of your computer so here are 9 simple things you can do to make your pc faster. If you bought your PC from a brand such as HP, Dell, Packard Bell, etc (essentially any prefabricated brand), it will have definitely have come bundled with a ton of programs that you will most likely never use, you may not even realize they are there. Some programs run background processes and start up the moment you turn on your pc, which of course adds more to the “to-do” list your pc has when it loads Windows and therefore, slowing it down. To remove all these pointless programs, open the Control Panel’s Programs and Features page, and have a look through the list of installed software. 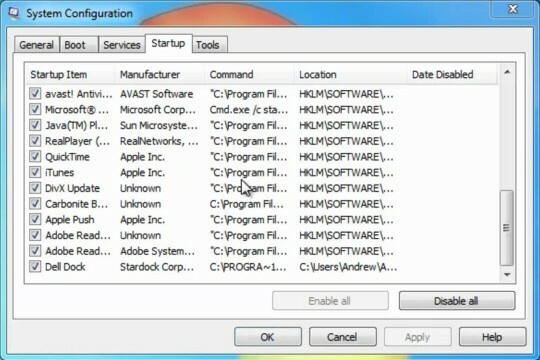 Uninstall those that you do not need, no longer use or simply do not recognize, while being careful to leave programs your computer’s hardware needs (typically their publisher will be listed as the PC maker’s name or as Microsoft). If in doubt, a quick Google search will let you know what that program is, what it does and essentially let you decide if it’s something you need or simply if it’s meant to be there. 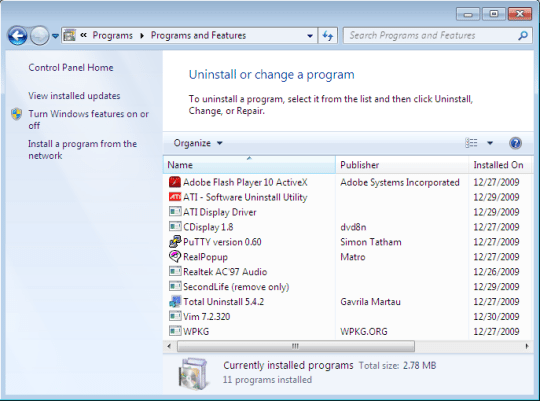 Alternative you can use the very useful Revo Uninstaller. 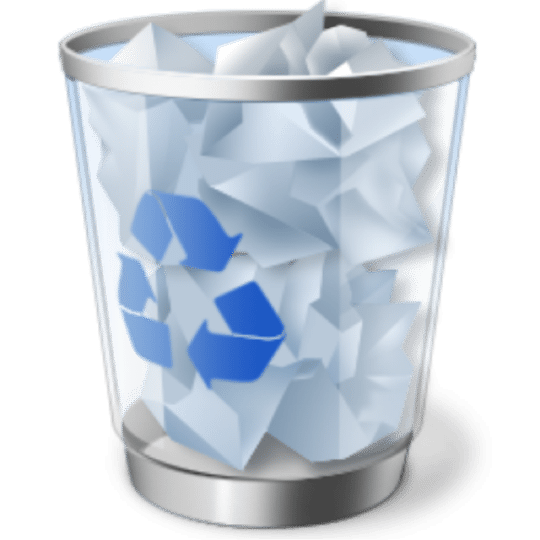 If you’re still unsure about certain programs, there’s a useful tool called “The PC Decrapifier” which will tell you which of your programs is simply clutter (if any) and let you uninstall it. You can download it directly from our website by clicking here. Temporary files can build up over time on your computer through everyday use and can remain on your hard disk, taking up space and slowing your computer down. While the idea of temporary files is a good one, as you can imagine it is not meant to contain files that are over a year old if not older. These files are not files created about you (so don’t worry, you won’t be erasing those embarrassing baby photos your mum sent you 2 years ago), they are files your computer creates and keeps for all sorts of reasons. In order to delete them, open “My Computer”, and select your local drive (usually C:\). Select the “Windows” folder and then open the folder titled “Temp”. You can either delete all of them or simply delete everything that’s older than a month. Be aware however that these files contain things like saved passwords for your internet accounts such as e-mail, so keep in mind you’ll need to remember your passwords (which goes without saying you should anyway, never depend on your computer remembering access credentials). If you’re unsure on how to do this or simply uneasy doing so, you can always use CCleaner for a more automated approach. 3. Upgrade to a Solid State Drive. 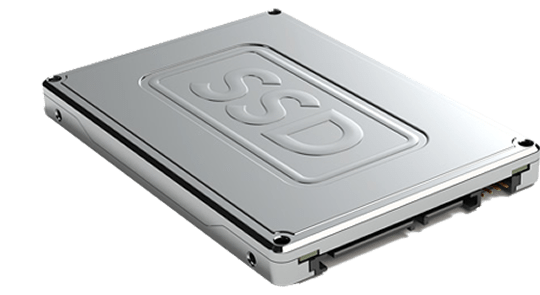 Commonly known as “SSD”, it’s a new kind of hard drive (actually it’s been around for a while, but only recently have they become more mainstream and affordable). In layman’s terms, they work in a similar fashion as pen drives do, they do not have moving parts, use flash memory and are 10 times faster than conventional hard drives (literally). Speed isn’t the only advantage however, they are compatible with virtually every computer manufactured in the last 8 years, are based in the 2.5″ size factor which means they are compatible with laptops and they do not have moving parts which means less power consumption (great for bills and for your laptop battery lasting longer) and if you do drop your laptop, will eliminate the most common symptom of such accident, i.e. broken hard drives since they are not affected by impacts. Note: Unless using specialized software, you will need Windows to be reinstalled when upgrading to an SSD but it’s well worth the effort as It’s no exaggeration to say your computer will feel like a brand new, up to date model due to the speed difference. No matter how regularly you clean out all of your temp files or delete no longer wanted files, chance is you will eventually run low on space. 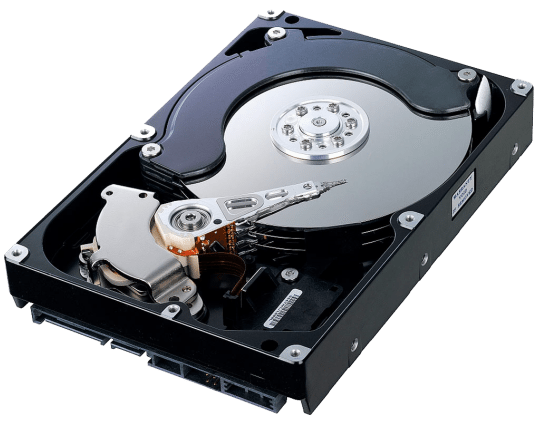 Conventional hard drives have a problem with this as the moment they go over 70% capacity usage they will slow down. They don’t literally slow down mechanically but rather, because there’s so much in them, they take longer accessing the files you are looking for or using and therefore, slow down your pc. Installing a new drive is fairly simple, and you can easily do it yourself, that said be careful as hard drives are extremely fragile and a single knock can make them faulty. Taking it back to the shop and claiming it came like that does not work either as they have sensors in them which can easily be accessed to see if they received recent damage or knocks. The upside however is that sharing your file load over 2 or more hard drives means your pc will find what you need much quicker and therefore not slow down your experience due to it. If you remember, on the first step we mentioned programs that start-up in the background when your computer starts up. By now you’ve removed the unwanted programs but what happens with the programs you do want to keep? The concept of starting up in the background is in theory a solid one, the idea behind it being that when you start your pc up, these programs load everything they need so when you decide to start them up they take less time doing so. In practice however they end up slowing the start-up so much that you end up losing more time on programs you may not even use today. Removing them from the start-up list does not mean they will not work (common misconception), it simply means they will not start-up until you start-up the program in order to use it. To do this, click “Start” and “Run”. In “Run”, type “msconfig” and then press enter. You should then see the “Startup” tab, with all those programs ticked being the ones which will load upon your computer starting up. There is a good chance the list will contain a number of programs you might not have realized were running on your computer during startup, or even at all. You can either manually deselect those which you do not want to load, or click “Disable All” and then select those you want to run, such as particularly important programs like anti-virus software. Another trick can be removing all the unnecessary fonts Windows loads. Windows 7 loads more than 200 fonts on startup which can slow down the speed at which it boots up. Go to the Start Menu’s search box, search for the Fonts folder and check off all the fonts you don’t need, and click the “Hide” button in the toolbar. 6. Defragment your hard drive. Let’s say you have a folder with all the photos you’ve been keeping over the years. To you, they look in order, you have them organized in one method or another or even all in one place and simply order them by name. Unfortunately this is not how the hard drive keeps the files internally, it spreads them all over the drive, in sectors, which in most cases each file in itself isn’t even together. Over time as your hard drive gets more and more full it can really slow down your computer while it looks for all the bits and bytes it needs to open that photo of you as a teenager you constantly consider if you should delete or not. 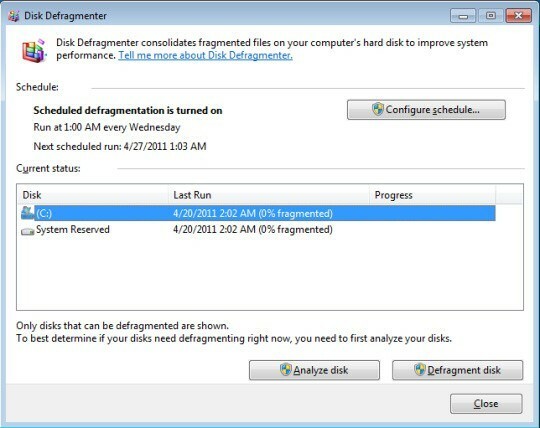 We can fix it by defragmenting your drive. In essence what this does is tell the hard drive to clean and organize its room and puts all parts of each file together and in order minus the pushing things under the bed cheat. Go to “My Computer”, right-click on the hard drive and select “Properties”. Under the “Tools” tab there should be an option to “Defragment Now”. Note: This only applies to conventional hard drives and should never be done with an SSD drive, if in doubt, you most likely have a conventional drive and it’s fine for you to defragment it. Have in mind however the whole process could take several hours so with today’s storage quantities it’s not a bad idea to leave your computer doing this overnight while you sleep as you shouldn’t use it while it is defragmenting anyway. Windows also includes a built-in disk de-cluttering tool called “Disk Cleanup”. It searches through the system for unnecessary large files such as temporary Internet files, program installers, and so on. Open Disk Cleanup by clicking “Start > All Programs > Accessories > System Tools > Disk Cleanup”. If you’ve never done this before, be patient, it could take quite a while for it to find all the files that can be removed. 8. Check for viral infections, malware, etc. 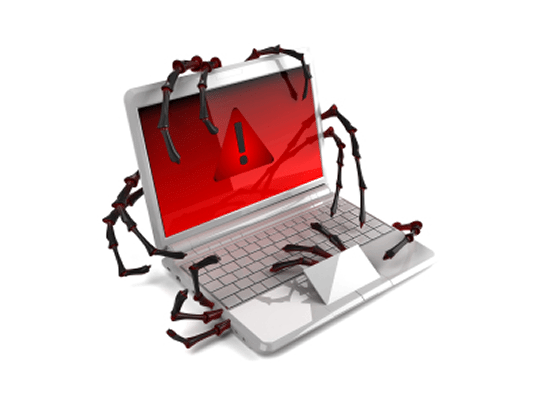 We all know about viruses and the many faces they have, be it Trojans, worms, adware, spyware, general malware, or many others, it is the stuff of nightmares. Most of them can be evaded simply by being careful and using common sense. Do not click on banners that are not on websites you trust, do not download files from websites you do not know, do not open emails if you do not recognize the sender (seriously, do not!, just right-click – delete). Unfortunately this is not enough, in today’s Internet, we could get infected simply by visiting a website, without us knowing. It happens, it’s not your fault, it’s probably not a family member visiting websites with less than clothed women on them and it’s not that pen drive your friend loaned you with the latest Eastenders episodes on it (though this last one is debatable). Microsoft Security Essentials is a great all in one solution but the fact is, it is not enough, it may be decent for cleaning up the mess but it does not prevent getting infected to begin with. A great option that does do this is AVAST Antivirus, there’s a free edition that has all you need and while you will never be 100% protected, it is a decent second step (the first step being common sense and general cautiousness). 9. Flushing out the dust. 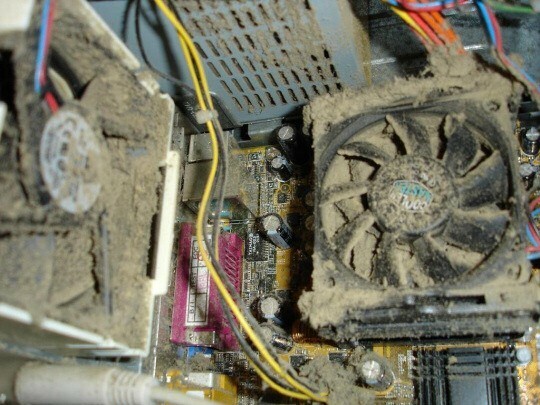 Literally, while it may seem weird or maybe even funny, all that dust your computer has collected inside over the years will cause it to get hotter and noisier. When a computer gets too hot it will reduce its performance in order to try and cool itself down and prevent it from damaging itself. It is good practice to at least once a year (if not every couple of months), undo those 2 screws on each side of your PC case, slide both open and using a can of compressed air (or a compressor if you have) that you can buy in any computer or DIY store, cleaning up all the dust inside. This will allow your pc to breathe better, have better airflow and keep cool, therefore not limiting the way it was made to perform. Note: Have in mind electronics are very susceptible to electrostatic based damage so ONLY use any form of compressed air, do NOT use a cloth, or any form of direct contact with the components. That’s it! If you’ve gone through all the steps, it probably took you a couple of days and your computer should definitely be faster and more responsive. As I mentioned however there are still many more things that can be done to give a new breath of life to your PC but I’ll go in to further individual detail in later posts!